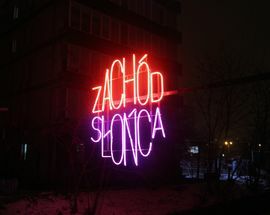 Poland has a long, lauded tradition of graphic art, with large-scale Polish advertising and poster design known internationally for their high artistic quality. The art form actually flourished under communism and these stylish high-minded aesthetics (although faded) can still be found around the country’s walls. With such a knack for graphics, it stands to reason that Poles would have a penchant for street graphics as well. And they do. 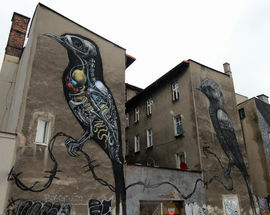 In Katowice, as in other cities around PL, street art is currently going through a tidal wave of popularity. 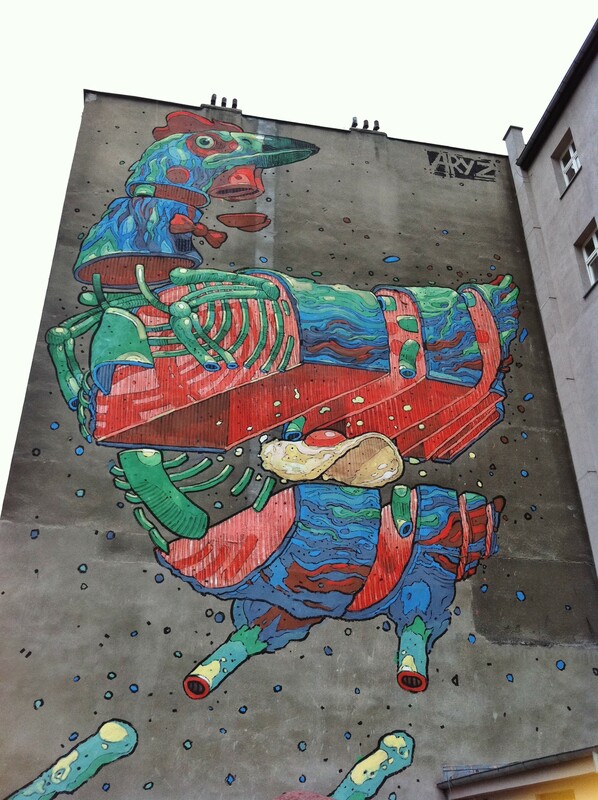 In the last few years new street murals have become a common sight around the city. 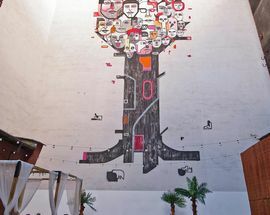 More restaurants and businesses are turning to street artists to playfully embellish their public spaces, and city authorities have even taken the surprising step of sponsoring some large scale murals around the city. In fact, the emergence of street art as a growing and legitimised artistic discipline has created an interesting dichotomy in Katowice’s urban landscape between both sanctioned and unsanctioned works of ‘graffiti art’ and the prolific gang signs, slurs and football-related graffiti that city paint crews have targeted in their war on ‘vandalism.’ The best thing about street art is that you can visit it anytime of the year, wind, rain or shine, and we wholly recommend checking out the yearly plans for the Katowice Street Art Festival (AiR, for short), and you may even be lucky enough to see some street art being created. 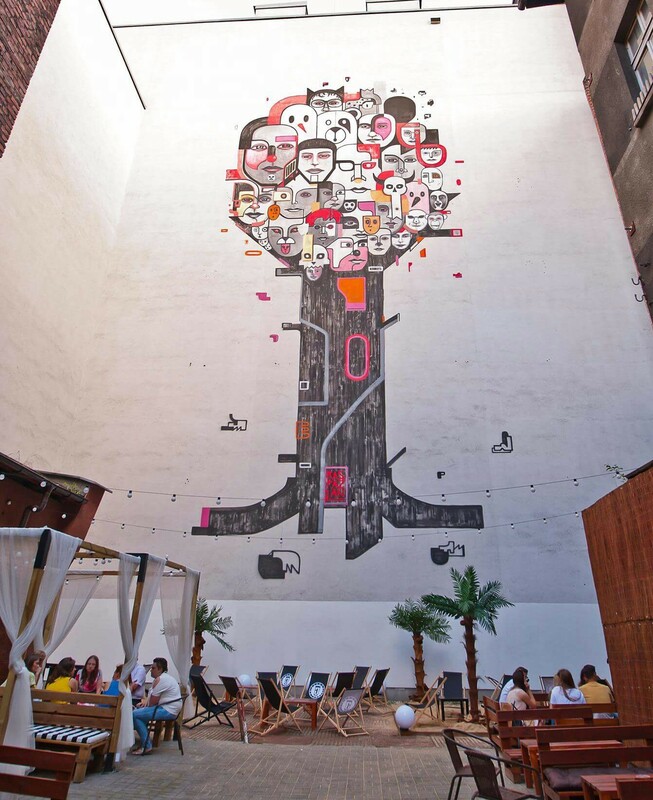 At any rate, those with an interest in street art will have little trouble tracking it down in Katowice, and we’re making it even easier. 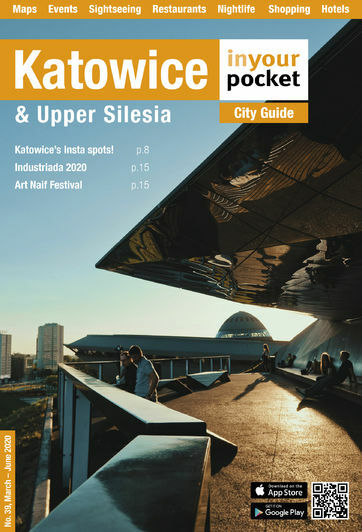 In addition to cataloguing and GPSing street art addresses throughout the city, we’ve also marked each place with a spray can symbol on the maps in the back of our print guide, so you can literally use them to give yourself a tour of Katowice’s urban art. As for online, we've even listed old pieces of street art to keep you informed if they still exist or not, to save you time from visiting a site, only to discover that once fantastic mural has been painted over, or worse, the building it was on is gone (if you find that piece has been painted over since we've last been, please, do let us know)! 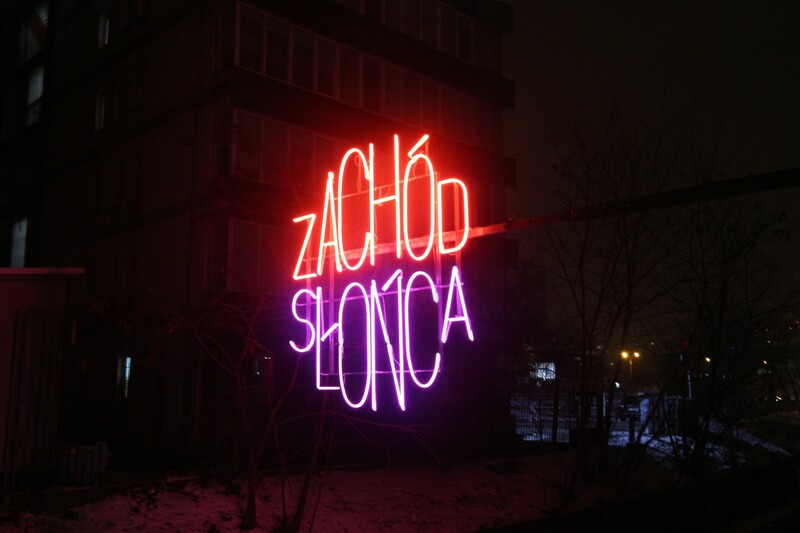 Even if you're only in the city for a short time, you can visit city centre locations, from the fantastic ‘Zachód Słońce’ (Sunset) neon sign above the River Rawa in the Rynek to the crowning glory, ul. Mariacka Tylna (parallel to ul. Mariacka) and the immediate surrounding area, where there are more than enough murals by international and local artists to appease your appetite for murals! 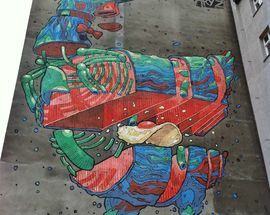 From Belgium's ROA, Spain's ARYZ, and local Polish and Silesian talents Raspazjan, Miszmasz and Mona Tusz, you won't be left disappointed on your street art walkabout. Also, wandering around the city you are also bound to stumble across some rather fine and less ‘in your face’ little creative acts. We particularly like the painted and stencilled gas and electricity boxes which are dotted around town. They are frequently changed and too many to mention, but keep your eyes peeled, you'll no doubt see plenty on your travels around Katowice. Happy hunting. Created by Spanish artist SpY in 2013. This piece simply intends to make you THINK.